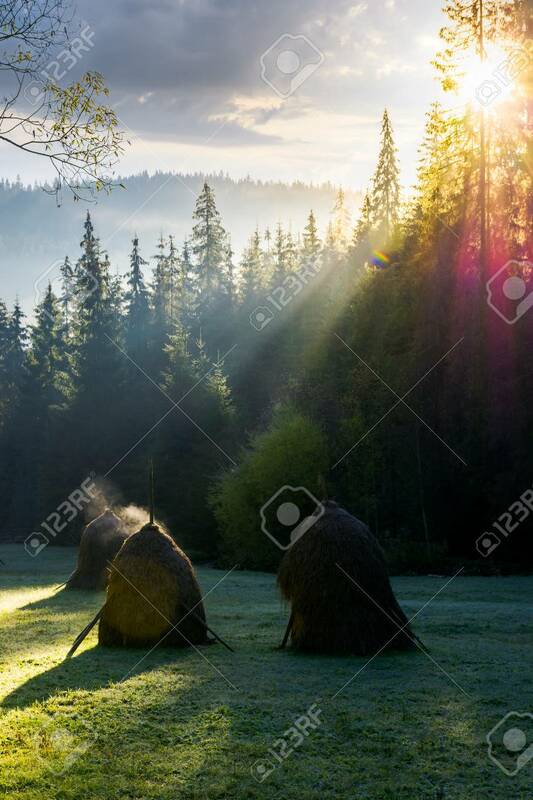 Steaming Haystack In The Forest At Sunrise. Rare Rural Background Stock Photo, Picture And Royalty Free Image. Image 108412432.